One thing you will quickly discover if you get to know people in the manufacturing industry is how busy they are. I guess it should be no surprise that they stalwarts of their local communities in terms of jobs and direct economic output. How so? We’ll address that shortly. People in the industry seem to juggle so many balls that they are unable to participate in things like Rotary, Lions, Kiwanis or even their local Chamber of Commerce. Their “free” time is often spent participating in industry related organizations such as SME, AMT, AWS or even advocacy oriented organizations such as CMTA (in California anyway). A vacation to them is often a trip off to IMTS, Fabtech or Westec/Eastec. One of those manufacturers, sharing one of those stories. 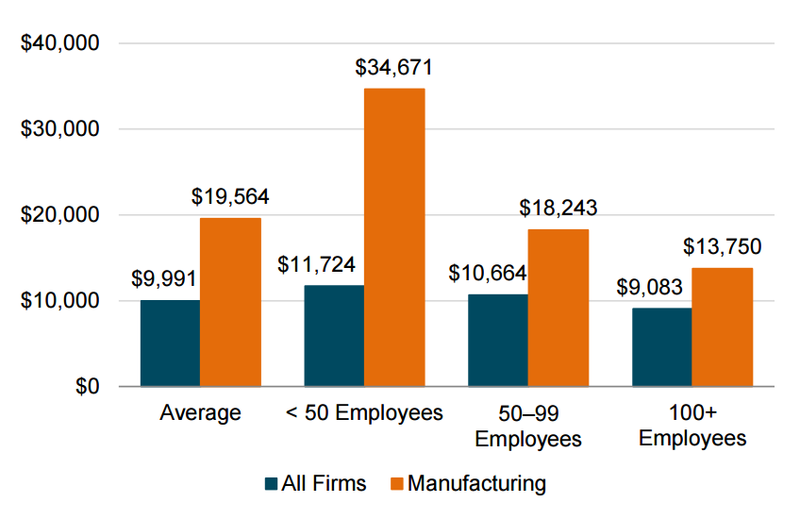 In manufacturing firms with less than 50 employees there is a disproportionate regulatory cost per employee of over 3 to 1 compared to all businesses of that size. What about those jobs and direct economic benefit? This creates a very disturbing picture, the employers who provide the greatest output per job to their local economies are strapped with the largest regulatory expense per employee. If we want our communities to succeed, companies with less than 50 employees with high direct output are the sweet spot for success. They need our help, and together we can do something about it. Head over to the Manufacturing Advocates Podcast and listen to stories of people making a difference. Share their stories with your friends. 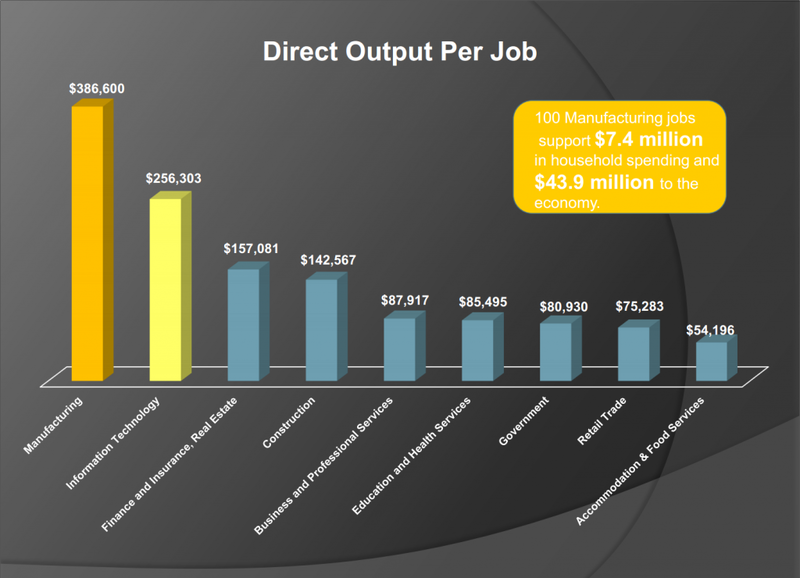 Tell the next person who will listen that in spite of a 3 to 1 disadvantage in regulatory overhead, manufacturers are contributing direct output dollars to their communities 4 to 1 or more over most vocations. Now you know why we went beyond the shop floor to help get the word out about the importance of manufacturing. There are great jobs to be had working for great companies that overcome substantial burdens to contribute greatly to their communities.